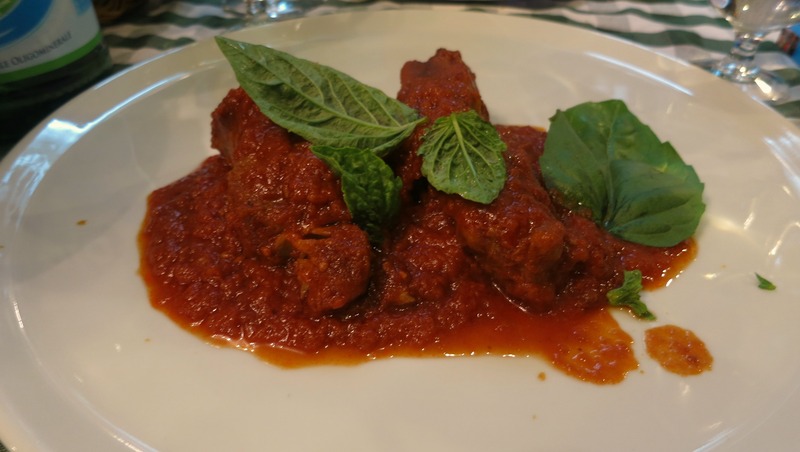 We arrived in Naples excited to taste the difference between Roman cuisine and the southern cuisine of Naples. So we headed to Hosteria Toledo just two rights and a left from our hotel. This is a restaurant that has been around since the 1950s. The small, bustling dining room is draped with checkered tablecloths and attended by a no nonsense woman who knows her job. 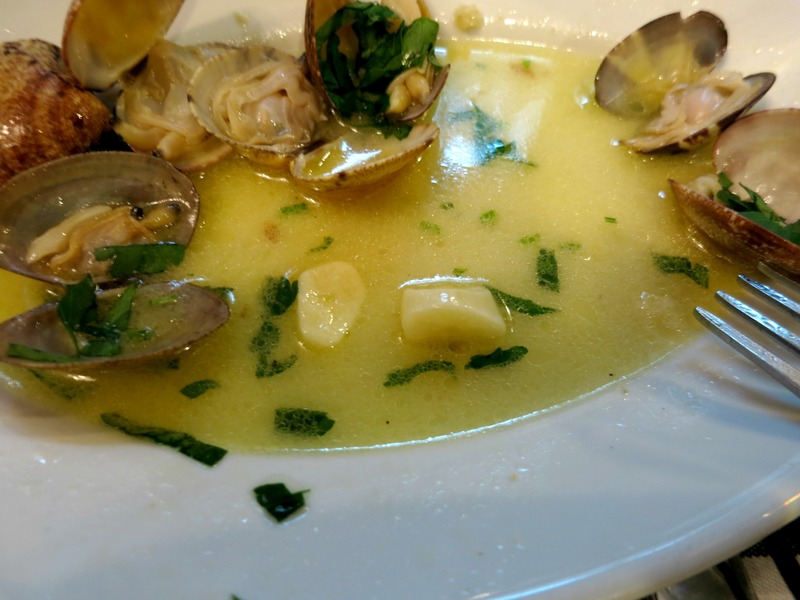 When our clams arrived we noticed something that we hadn’t seen in Rome–GARLIC! 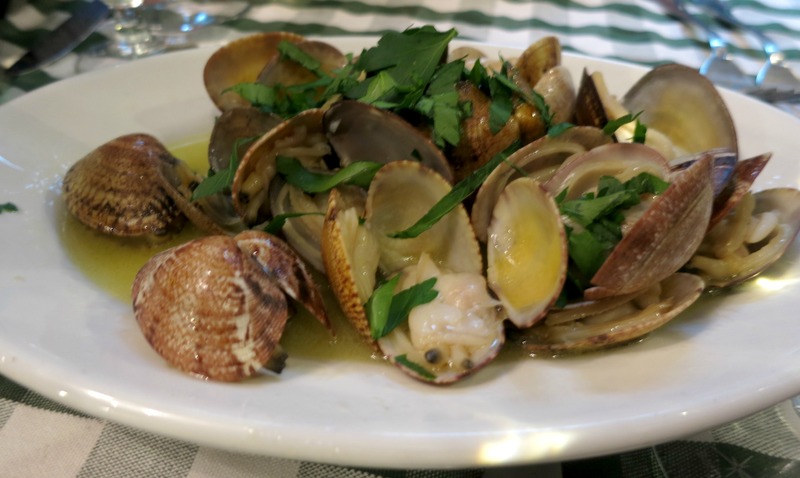 While the food in Rome was delicious and refined, reflecting Rome, this dish and the others we ordered reflected Naples: loud, boisterous and bursting forth with flavor. Mz. 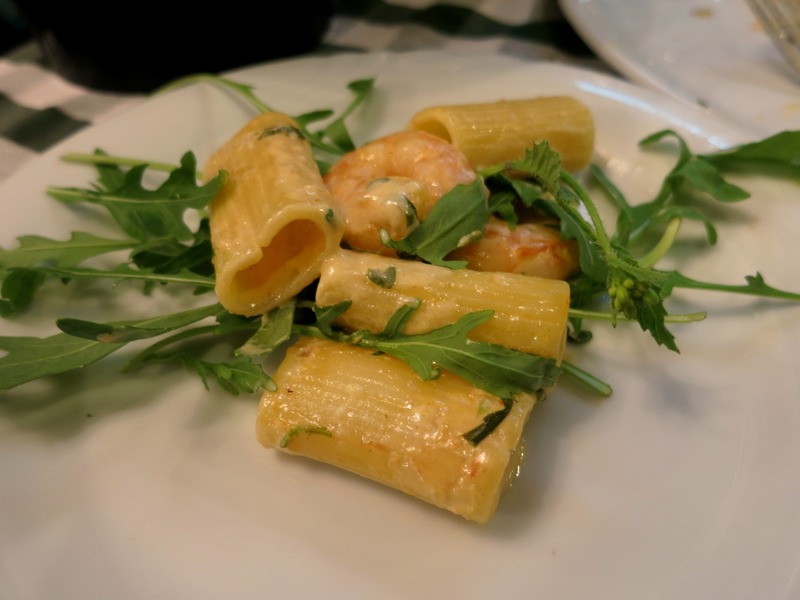 Riz ordered a pasta with shrimp and arugula that was more flavorful than its northern counterparts. 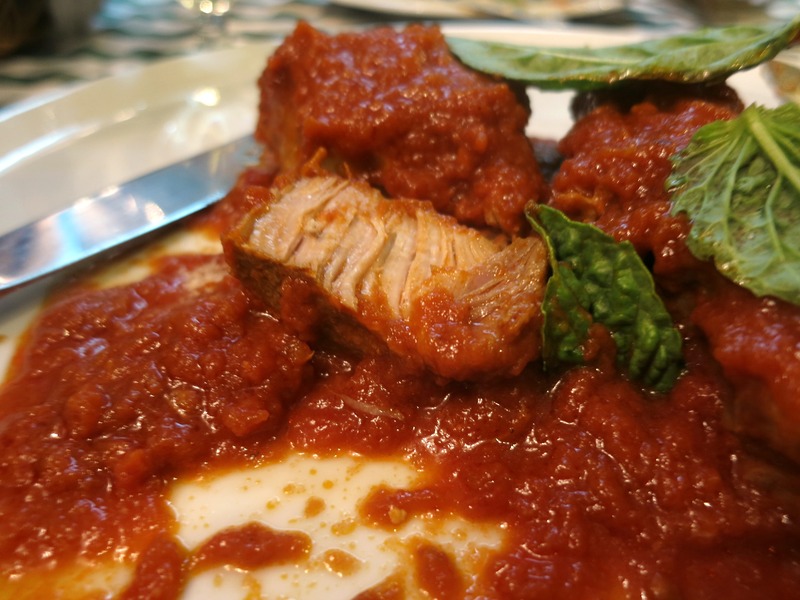 I couldn’t resist pork braised in tomato sauce. This was a dish that my mom would make twice a month. When I took my first bite it was ingesting my heritage and what a tender sweet legacy it was. I knew I was home. That pork looks amazingly tender – slow-cooked presumably? Oh my God! Yes! 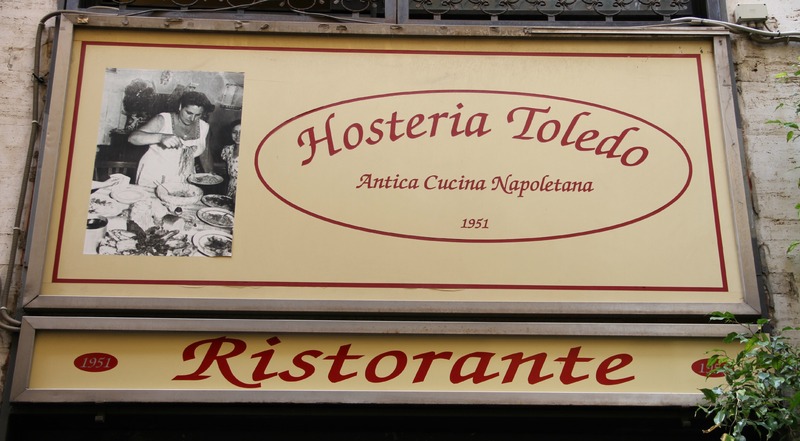 You went to Hosteria Toledo! My husband had the Pork and the Clams! I had mixed antipasto roasted vegetables every time we went (different array each meal and absolute perfection) and I had fish. The desserts looked amazing. I can’t have flour, sugar or alcohol right now and it was still easy for me to eat delicious food there. There is something about the old recipes, the herbs they use, the spicing, it’s so precise and balanced, and with the vegetables a certain olive oil and vinegar balance. It was so great. Thrilled to see your entry on this!! !